At Edge Grove we provide a rich, creative and innovative experience based on supporting and challenging pupils to achieve their best through the elements of discovery, application and communication. We aim to provide as many opportunities as possible to assist children in finding their passion through extra-curricular activities, trips and outings and the wider curriculum. All children relish the opportunity to perform in concerts and plays during their time in the Prep School. This does not mean that every child is expected to enjoy the limelight; some may find designing scenery, working lighting structures or being a stage hand preferable and they are encouraged to explore where their interest lies. At the end of the Michaelmas term all children participate in our festive Carol Service. As well as productions there are music concerts throughout the year. All children have the opportunity to perform in the informal music concerts, which are a wonderful way of celebrating all our children’s talents. All children participate in a class assembly once a year to which parents are invited. These assemblies are held on Thursday mornings and are a collaborative way for every child to perform; to present different ideas, to show the rest of the school what they have been learning or simply to encourage their creativity and self-expression. Edge Grove welcomes a multitude of visitors into school from authors and artists to guest speakers and representatives from local charities. Examples of recent trips and creative workshops include: a Rocks and Fossils workshop, gallery visits, RS trip to Bhaktivedanta Manor, Egyptian Day, Magnets and materials workshop, International day, Book character day, Mr G’s Electricity workshop, a Stone Age trip to the Chiltern Open Air Museum, Affinity Water Centre, Radlett and Bushey Synagogue, Golden Hinde and Verulamium Museum and Lincolnsfield Centre. All trips and workshops are chosen carefully to complement the learning taking place in school. 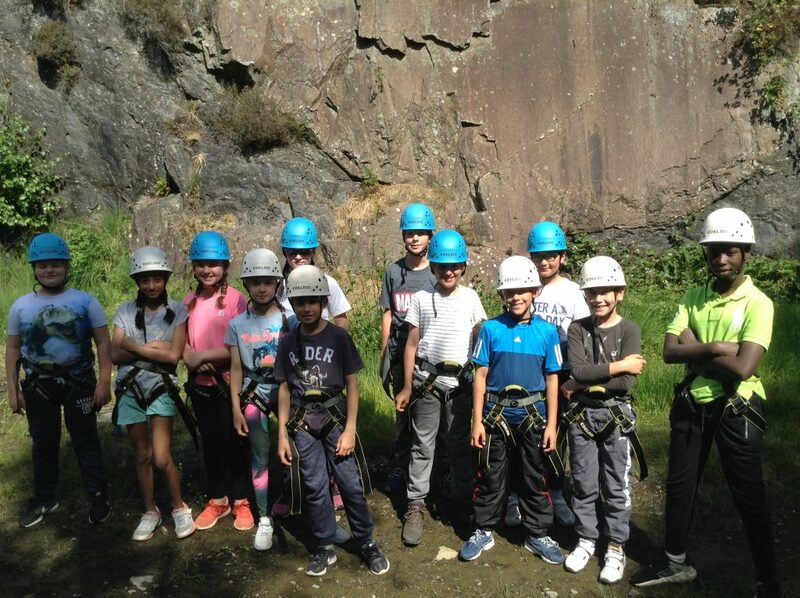 Every year in the summer term our pupils in Years 3-8 experience an ‘Expedition Week.’ For some this will involve a week staying away from home at places such as Dorset, Wales and France. For our Lower School pupils it involves camping at the school and enjoying activities during the day. The children gain so much from the experience – personal development and growth, independence, accomplishing challenges and goals. Occasions such as Expedition Week are invaluable in a child’s time at school; the experiences gained are priceless and lasting memories are always made.